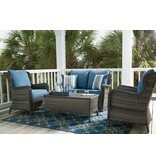 Item Description: Swing your worries away with the Abbots Court gliding loveseat and matching table. 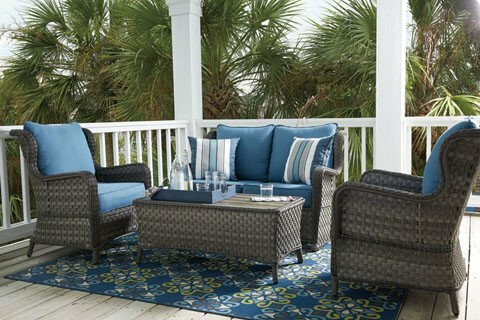 Soft driftwood-hued resin wicker adds romance without the worry of splintering or cracking. 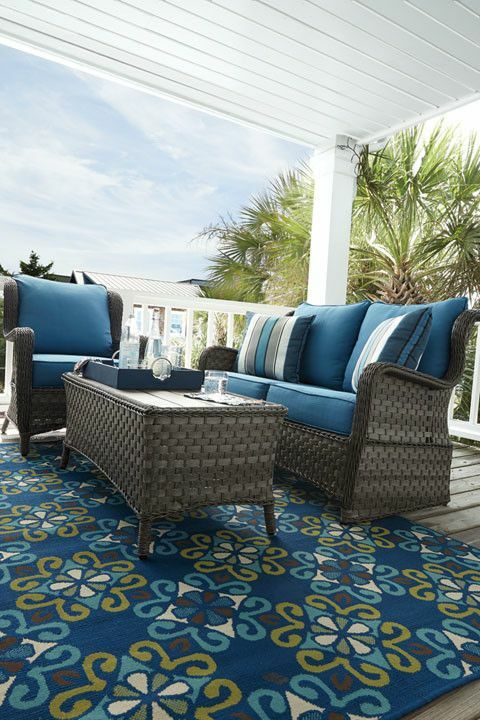 Comfortable cushions are covered in all-weather Nuvella™ fabric so they’ll look bright for years. 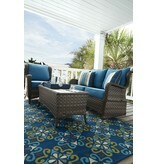 Series Features: Rust free aluminum with resin wicker. Durable high performance Nuvella fabric. 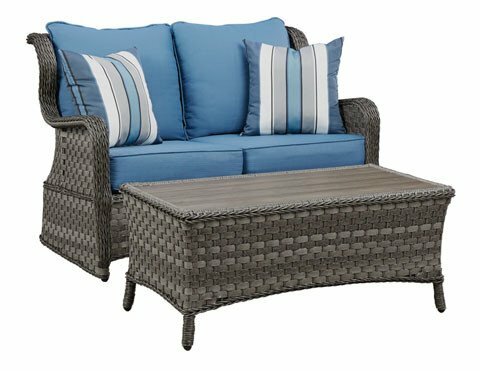 Loveseat glider includes two throw pillows. Wood look resin top coffee table. P360-035 loveseat glider and coffee table ships in one carton. 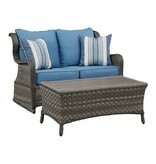 For the complete set with loveseat glider, coffee table and 2 chairs, order (1) P360-035 and (1) P360-820, 2 per carton.